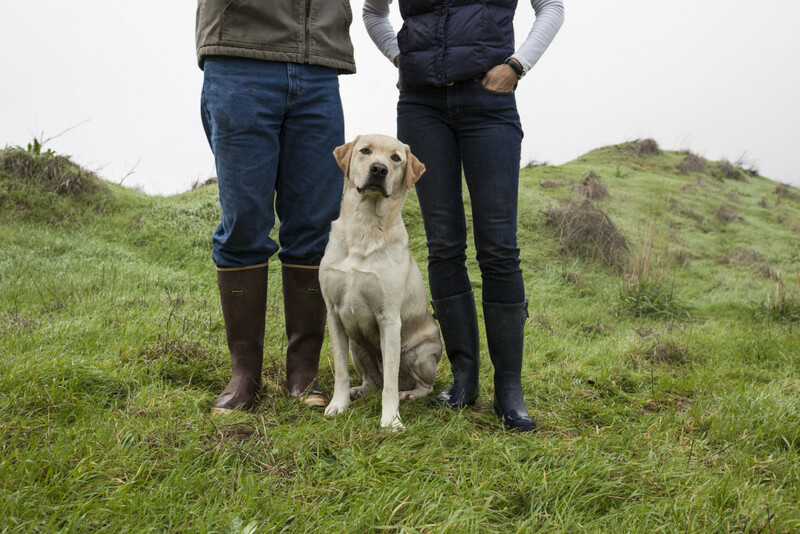 Family owned and operated, Bellwether Farms is located in Sonoma County, California, about an hour north of San Francisco and a few miles from the Pacific Ocean. Our cheeses are used by chefs in many of the finest restaurants across the country and are regularly featured in The New York Times, Martha Stewart, Sunset Magazine and gourmet food publications everywhere. You see, good taste always travels well. It was a match made in cheese heaven. Liam’s dedication to creating cheese of the highest quality has made his work more a labor of love than a job. 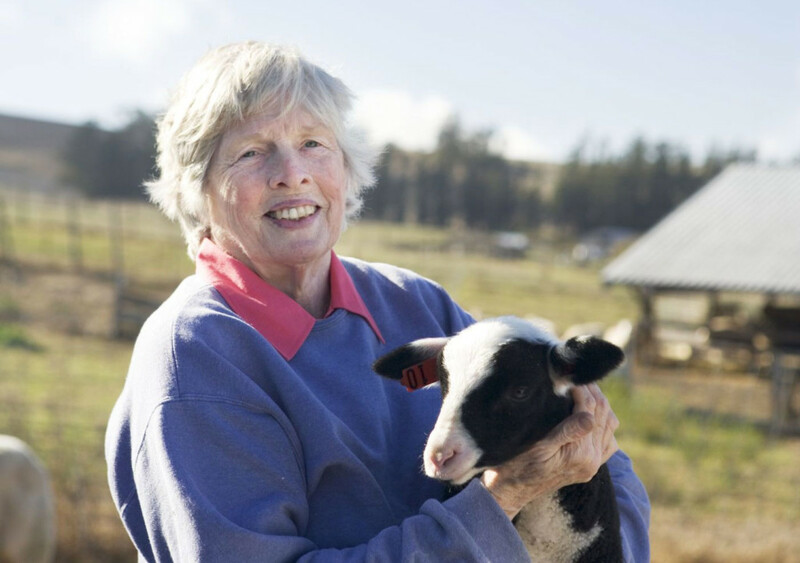 A former nurse, Cindy Callahan founded Bellwether Farm in 1986. For a woman to undergo such a life change in her 50s was unusual to say the least. But it led to an exciting and rewarding adventure in tending sheep and raising lambs. A casual suggestion by a friend to milk the sheep opened Cindy’s eyes to the potential of a sheep dairy farm. She embraced the challenge with customary enthusiasm, bringing the rest of her family along for the very eventful ride. To this day, Cindy assists in the delivery of nearly every lamb on the farm. Cindy’s son Liam was finishing his degree in Political Economy at U.C. Berkeley when his mother suggested he learn about sheep milking and cheese making with her. Liam made the jump from Political Economy to the sheep dairy business without missing a beat. It was a match made in cheese heaven. Liam’s dedication to creating cheese of the highest quality has made his work more a labor of love than a job. 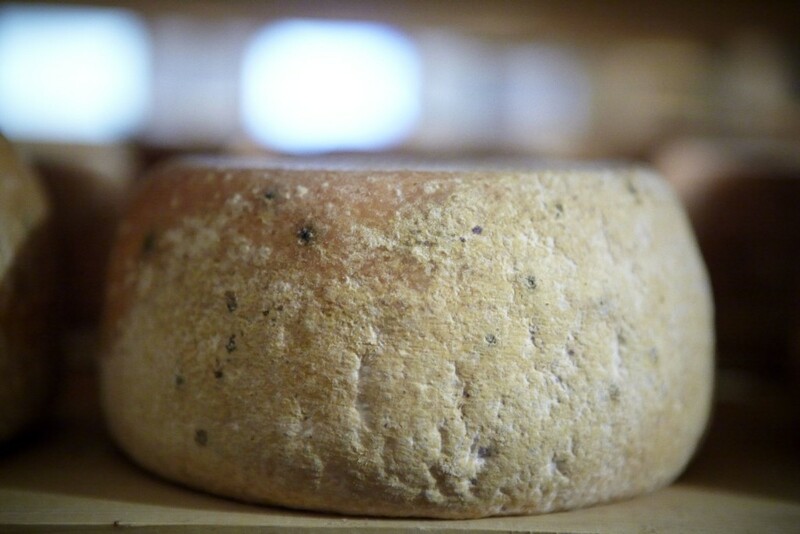 Using traditional methods, Liam makes every pound of cheese produced by Bellwether Farms. Frankly, we’re pretty sure he wouldn’t have it any other way. Diana married Liam in 1996. Shortly thereafter she discovered that joining the Callahan family also meant joining the Callahan family business. She jumped right in with both feet, working in the Cheese Room until their first child was born. Diana then turned her efforts to running the office and handling the mail order side of the business. Her total dedication to customer happiness means you get the cheeses you want when you want them. As if that wasn’t enough (Diana seldom thinks anything is enough), she also handwrites all the gift enclosures that go with our cheeses. In our continual quest to improve our process and our product, we visited cheese makers in Europe. We discovered that, using traditional methods, no two cheese makers could possibly make the same cheese due to subtle differences in milk, climate, equipment and technique. This was welcome confirmation that we had chosen the right path; our emphasis on the traditional and time-tested methods would ensure the highest quality and a unique taste that could not be replicated anywhere. The enthusiastic support we receive from our customers at farmer’s markets and restaurants around the San Francisco Bay area is further proof that we are providing something very special. Sheep are sheep, right? Well, not exactly. Our sheep are a Northern European breed called East Friesian, among the best milk producing sheep in the world. Taller than ordinary sheep, they’re known for their relatively long and pointy ears. Each ewe has from one to three lambs each year (though four or five is not uncommon) and these lambs stay with the mother for 45 days before we start milking the ewe. After the lambs are weaned, the ewe is milked for up to eight months. 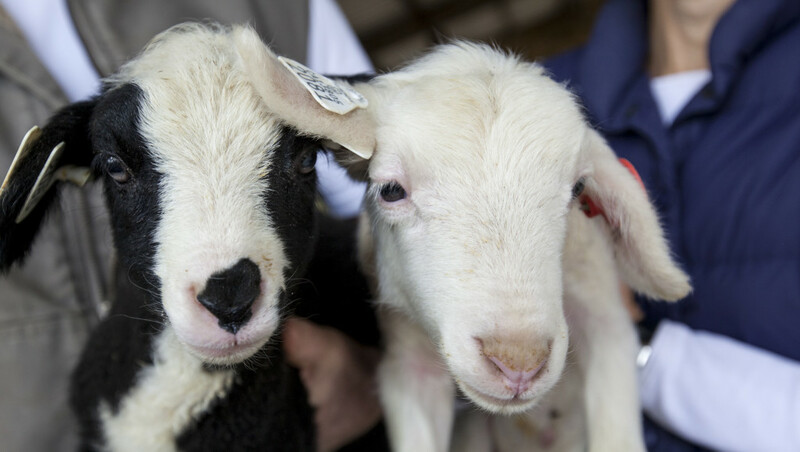 But sheep milk isn’t easy to come by – a sheep gives less milk than a cow or goat, averaging less than ½ gallon a day. Our sheep are free to roam the pasture year round, but they’re also fed grain and alfalfa to keep them in top condition for milk production. We believe in letting nature do her thing as she sees fit, so our sheep are never injected with hormones to increase production. 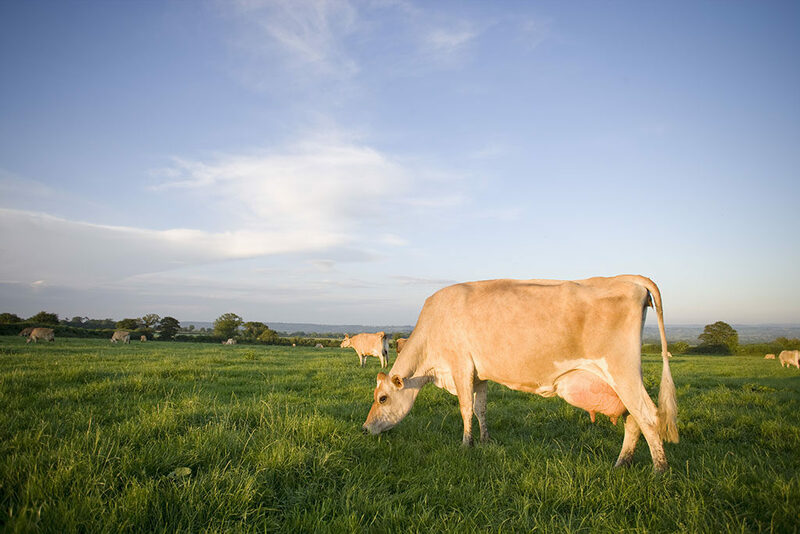 Our cow’s milk comes from Jersey cows on a nearby dairy. Jersey cows are brown in color and much smaller and less common than the black and white Holstein cows. More importantly, their milk is much richer with higher fat and protein, which makes it far superior for cheese production. Again, it’s quality, not quantity that takes the front seat –– a Jersey cow may only give five gallons a day while other breeds give more than twice that. The cows are never treated with hormones, and are fed a mix of grasses, supplemented with alfalfa and grains. 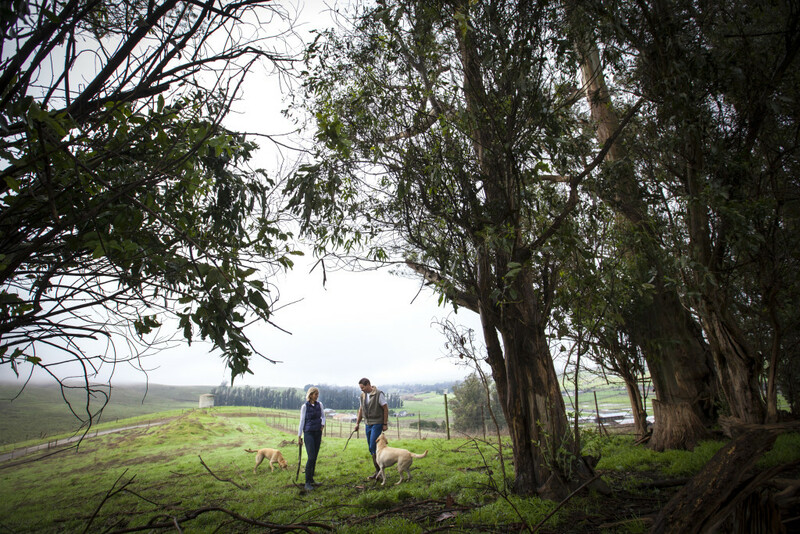 Located in the beautiful rolling hills of the Sonoma County coast, the farm is only a few miles from the ocean and well known areas like Tomales Bay and Bodega Bay. This region is known for mild temperatures and coastal fog. Heat stress adversely affects milk production and quality, so our mild temperatures are ideal for dairy production. Dairies in our area are renowned for producing the richest and sweetest milk around. No herbicides or artificial fertilizers are ever used on our pastures.